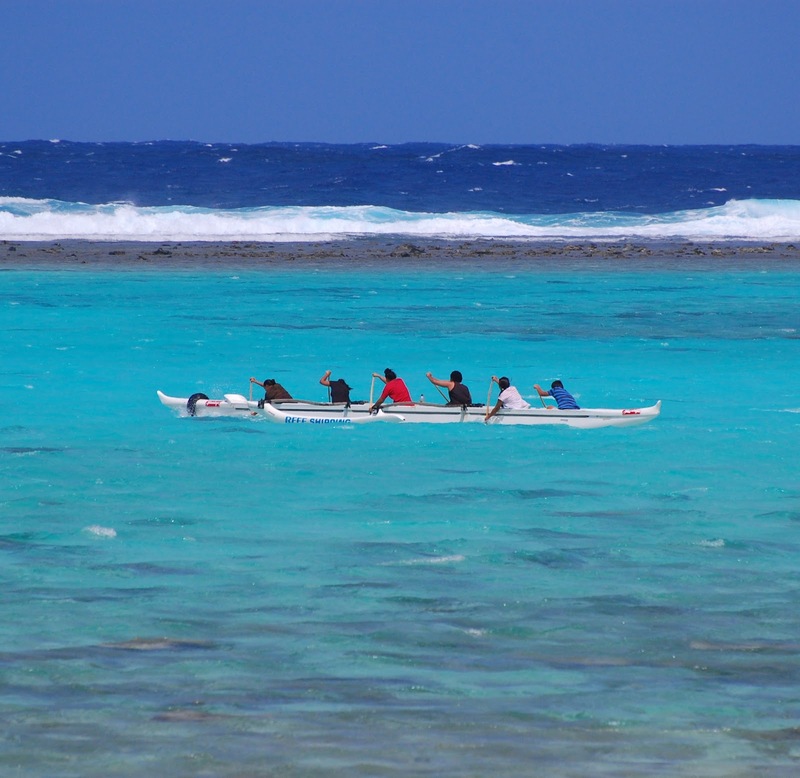 A traditional six-person outrigger canoe sees a practice session in Muri Lagoon, along the eastern edge of Rarotonga. 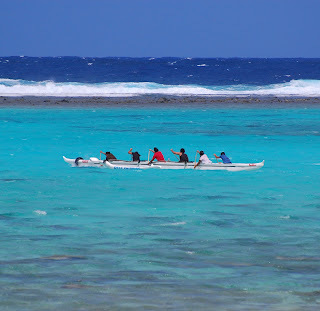 My visit was quite windy, but there were canoe training runs by numerous parties each day. I took my turn at kayaking in the same spot, and it was exhausting!